Mayor Chris Cerino called the meeting to order at 7:30 p.m. In attendance were Council members Liz Gross, Linda C. Kuiper, Samuel T. Shoge and Mauritz Stetson, W. S. Ingersoll (Town Manager), Jennifer Mulligan (Town Clerk) and guests. Mayor Cerino asked if there were any additions or corrections to the minutes of the Mayor and Council Meeting of December 4, 2017. Mr. Stetson moved to approve the Mayor and Council minutes of December 4, 2017 as submitted, was seconded by Ms. Gross and carried unanimously. Mayor Cerino stated that total operating cash on hand for unrestricted use is $1,521,399.39. The donations for the Broadreach sculpture have a balance of $-28,149.65 (pending receipt of pledged donations), with $22,500.00 in promised donations that were waiting to be received. The Town was waiting on grant reimbursements in the amount of $132,043.30 for marina work. Mayor Cerino asked for a motion to pay bills. Mr. Stetson moved to approve payment of the bills as submitted, was seconded by Mr. Shoge and carried unanimously. Mayor Cerino called forward Ms. Ellen Stone. Ms. Stone stated that her house was burglarized 7 years ago and a lockbox was one of the items stolen. She said that Mr. Lewin Blackiston and Mr. Louis Mancuso of the Town Street Crew found the lockbox when they were working on the Rail-Trail. Upon opening the lockbox, Mr. Blackiston recognized the name of a former classmate in documentation enclosed in the box and contacted him. She said that she was thrilled to find out that the stolen contents were still in the lockbox, the most important being her mother’s wedding ring. She said that she wanted to acknowledge Mr. Blackiston and Mr. Mancuso for their hard work and for going above and beyond their duties. She presented them with a token of her appreciation. Chief Baker gave the police report for November 2017. Chief Baker stated that there was an incident at the Middle School where a suspect alleged that they were going to “shoot it up”. He said that he wanted to commend the superintendent on how she handled the situation, noting that after searches by the police, the day went on with a police presence at school. Chief Baker stated that there were many things that the police do beyond investigating crime and said that he would like to make for a more comfortable relationship between the police and the students. He said that with approval of the superintendent, there has been an officer in the school twice a week and said that he would like for that to continue. Chief Baker stated that K-9 “Ox” began work last week with CPD, noting that he was fully trained and 1½ years old. Chief Baker said that it was an honor to work with Ms. Gross and Ms. Shoge over the last 4 years and thanked them for their work. Mr. Ingersoll stated that he did not have a report this evening. Mayor Cerino read a letter to the State Highway Administration in response to Washington College’s presentation to the Council regarding pedestrian crossing at Rt. 213 and Campus Avenue. Mayor Cerino stated that this was the last Mayor and Council meeting for Ms. Gross and Mr. Shoge. He said that the new Councilmembers for the First Ward (David Foster) and Third Ward (Ellsworth Tolliver) would be sworn in at the meeting on January 2, 2018. Mayor Cerino reviewed highlights of the last 4 years in office going over major capital projects such as the 3rd leg of the Rail Trail from High Street to Radcliffe Mill; Gateway Park; the Kent County Middle School Campus; the purchase of a new Police Department and sale of the old; the building of a solar array at the Town Lagoon property; built the new 40 space parking lot on Cannon Street; the work with the Garden Club to widen the sidewalks at Fountain Park and add all new Victorian benches; the redecoration of Downtown Chestertown for the holiday season; the creation of the Ajax Pocket Park; the renovation of Washington Park’s public open spaces; the Broad Reach Sculpture at Wilmer Park; the brick walkway from Sumner Hall to the Broad Reach Sculpture; the new bridge on Horsey Lane; installed benches in Remembrance Park; the Santa’s house renovation (Yerkes Construction and Washington College’s Habitat for Humanity); security cameras on Calvert Street, and the new storage addition at the Chestertown Fire Department. 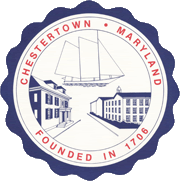 Mayor Cerino stated that for marketing and economic development, the Town of Chestertown also completely revamped the website with Moo Productions services; held business forums; worked with the Greater Chestertown Initiative and other Town leaders to apply for and received an Arts & Entertainment District Designation (providing tax incentives for arts related businesses); hired Kay MacIntosh as the Marketing and Economic Director of Chestertown; resurrected the Main Street Program; worked with Kent County and the State of Maryland to create an Enterprise Zone on the northwest end of Town where KRM is now building their corporate headquarters; created new events such as Chester Gras, Legacy Day, HP Festival, Young Professional’s Beer Festival, Winterfest (now Dickens of a Christmas); performed 2 annexations (70 acres behind Washington Square and 150 acres at the Town Waste Water Treatment Plant); worked with the Hospital on the oil spill; formed Save the Hospital with the doctors at the Hospital to continue having inpatient beds which lead to the creation of the Rural Health Care Working Group; created an ordinance allowing Food Trucks; held public charrettes on the Marina and designed and engineered drawings for the rebuilding of it; completed dredging in the Marina basin, received all permitting and are working to finalize an agreement with the Fish Whistle to expand while raising the grade of the property, built a new boat ramp, raised the boardwalk from Scott’s Point and from the boat ramp to the river, demolished the Williams Marine Shed and poured the foundation for the new Marina Interpretive Center. Mayor Cerino stated that in Town, Washington College built a new dorm building, the Cromwell Education Center on Washington Avenue, broke ground on their new boathouse and had a ceremonial ground-breaking for their new Environmental Center. Sultana also built new headquarters on South Cross Street. Mayor Cerino stated that State initiatives performed over the last 4 years were the turning circle at Rt. 291 and Rt. 20; installed a new culvert under the last portion of the Rail-Trail (Phase IV) that will be built from the bypass to Foxley Manor, the grant for which is likely to be approved and the Town is engaging an engineering firm to help with crossing the bypass; the Chester River Bridge was repaired and painted, and; Rt. 213 from the Chester River Bridge to Suds-N-Soda was repaved. Mayor Cerino stated that there were numerous businesses in Chestertown that closed over the past 4 years, but there were just as many new stores open to replace them. Mayor Cerino stated that it was an honor and a privilege to work with the Council on these projects. He said he was looking forward to the next 4 years. Mr. Stetson stated that there were also 2 pavilions built at the Dog Park in the last 4 years. Mayor Cerino added that the parking capacity was also doubled at that site. Ms. Gross stated that there were also many trees planted at the park. Mr. Stetson stated that he wanted to wish everyone a Merry Christmas and a Happy New Year. He reminded all last minute shoppers to shop local. Mr. Stetson stated that he attended the Campus Avenue Neighborhood Dinner and it was an enjoyable time. Mr. Stetson stated that he and Ms. Kuiper also attended the Chestertown Volunteer Fire Company on December 16th for the installation of officers. He said that it was a nice dinner, adding that the volunteer fire company offers irreplaceable services to Chestertown and deserves credit. Ms. Kuiper stated that it was a lovely evening. Mr. Stetson stated that when the Dog Park was formed, he promised that anything added to the park would have the approval of the Council, even though it would be paid through the “Friends of the Dog Park”. He said that he would like to add training aids and play equipment for the dogs. Mr. Jay Yerkes has agreed to perform the labor with the help of Washington College’s Habitat for Humanity. The Friends of the Dog Park will pay for materials. The Council agreed that this would be a nice addition to the park. Mr. Stetson stated that he wanted to say how much he enjoyed serving with Ms. Gross and Mr. Shoge on the Council. Mr. Shoge stated that he was appreciative of the summary because the last 4 years went by in a blur. He said that it was an education serving on the Council handling all of the numerous issues that come up. Mr. Shoge stated that the staff was to be commended for their work and making the Councilmembers’ jobs easy. He said that he enjoyed his time on the Council and wanted to thank the residents of Ward 3, along with all the volunteers who help to make Chestertown so special. 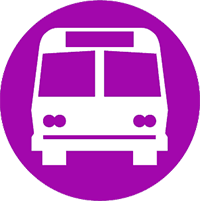 Ms. Kuiper stated that she wanted to thank everyone who coordinated and volunteered for the events that have brought thousands of people into Chestertown. She reminded everyone that volunteers were always needed for the Chestertown Tea Party Festival. Ms. Kuiper stated that the Bordley Center was open extended hours and will be open on Christmas Eve. Ms. Kuiper thanked Ms. Gross and Mr. Shoge for their 4 years of service. Ms. Kuiper stated that Chesapeake Bank still has Shop Local cards available. Ms. Kuiper stated that the Farmers Market will be open throughout the winter. Ms. Gross stated that it was an honor and a privilege to work with the Council the past 4 years. She said that she never expected to enjoy serving the Town as much as she did. She said that there were diverse issues handled and found that to be enriching. She said that she was sorry that personal circumstances prevented her from running for a second term. Ms. Kuiper stated that she would cherish the friendships she made with the Council and Town staff. She said that she will continue to be available to Mr. Foster if he needed any help or advice and wished him all the best. Mayor Cerino asked if there were any questions or comments from the audience. There was a resident of West Campus Avenue who said that people are running the stop sign at the corner of College Avenue and Campus Avenue. He asked if the police department could enforce the law. He also questioned why there were stop signs at that corner. Mr. Ingersoll stated that at one time it was an intersection of Campus and College Avenues. He said that he thought a warning of a tight bend in the road might be a substitute for a stop sign but for now Chief Baker should be allowed to assess the situation, give warnings, and report back to the Council on his findings. Chief Baker agreed, noting that he will post officers in the area. There being no further business, Mr. Stetson moved to adjourn the meeting at 8:20 p.m., was seconded by Ms. Gross and carried unanimously.